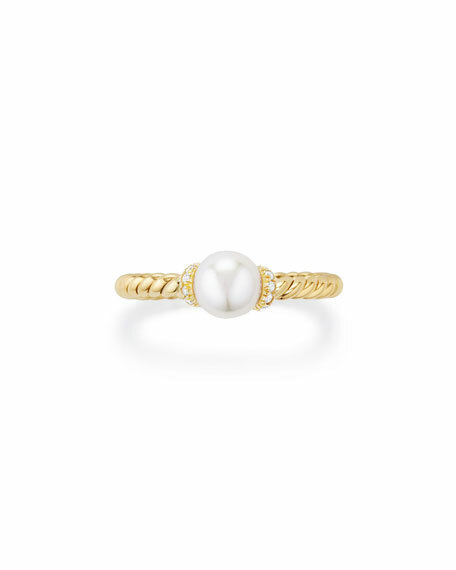 David Yurman petite ring from the Solari Collection. 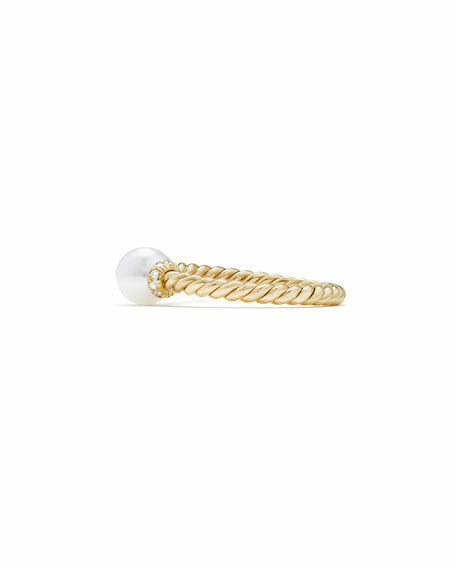 18-karat yellow gold Cablespira band, 2.3mm wide. Pavé diamonds, 0.08 total carat weight. David Yurman ring from the DY Crossover® Collection. Sterling silver with 18-karat yellow gold hardware. Smooth, cable and buckle details. David Yurman ring from the DY Crossover® Collection. Sterling silver with 18-karat yellow gold hardware. Smooth, cable and buckle details. Approx. 14mm. Imported. 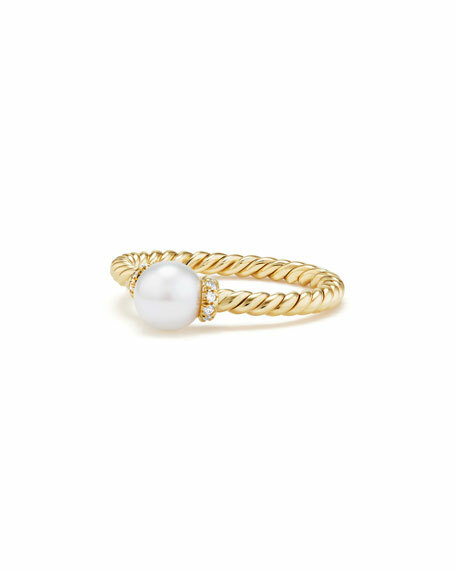 David Yurman ring from the Helena Collection. Sterling silver with 18-karat yellow gold. Wrapped front with pavé diamonds. 0.33 total diamond carat weight. Tapered, half-round shank. Approx. 15mm. Imported.